The General Services Administration on Thursday announced two signs of progress on the Obama administration’s push to sell off excess federal properties, one a completed sale and transfer of an Army munitions plant in Arden Hills, Minn., and the other an online auction in the final stages of selling an empty federal office building in Billings, Mont. The transfer of the property, facilitated by GSA’s Boston office, will occur in two stages, an initial change in ownership of 397 acres and a delayed transfer of 30 acres pending completion of an environmental impact study expected to take three years. 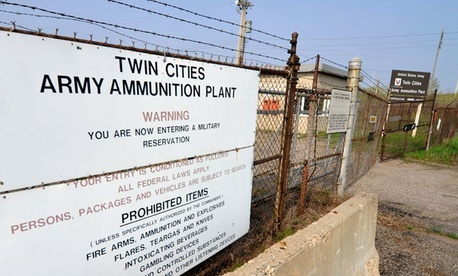 Ramsey County plans to create jobs and tax revenue by developing the property -- once part of a larger Army small-caliber ammunition manufacturing center that operated during World War II, the Korean War and the Vietnam War. A short-term $23 million contract has been let for the environmental study and demolition. Also this week, GSA prepared to close bidding in an online auction to sell the James F. Battin federal building in Billings. As of Thursday, the top bid was $2.3 million. GSA since 2010 has completed nearly 400 disposal transactions nationwide, generating $145 million in proceeds and ending federal responsibility for more than 12,500 acres of excess land, the agency said.